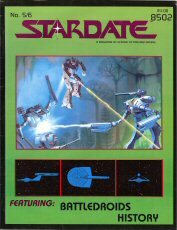 ARTICLES - Star Trek adventure; Star Fleet regulations on Alcohol; Starship Troopers; Clarification and Additions for Trader Captains and Merchant Princes; more. 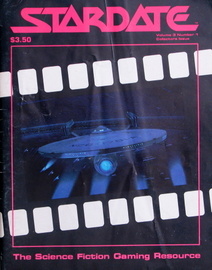 ARTICLES - Vulcan: The Planet, the People and the Galaxy; Deneva Deception; Writing Science Fiction, by Jefferson P. Swycaffer; The Trials and Tribbles of William Campbell; Force of Law; Star Trek Menagerie; more. 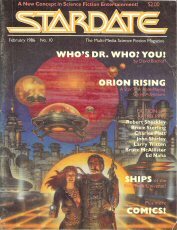 ARTICLES: Before the Succession Wars; Continuing the Line; Hylan and Hamalki NPCs; Carrier by Kevin J. Anderson; Gaming the Captain; C.A. 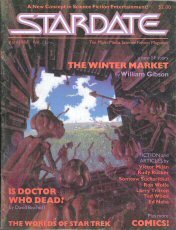 Smith - Emperor of Dreams; The Reason We Are Here; Robots in Star Trek; Mixed Blood; Lumping & Splitting by Jefferson P Swycaffer; Question of Honor; Soul of Caesar; more. 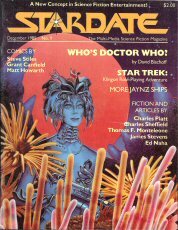 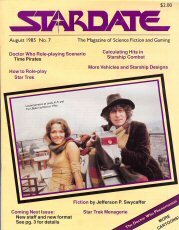 ARTICLES: Time Pirates - Doctor Who Role-playing Scenario; How to Role-play Star Trek; Coronation Presumptuous (fiction) by Jefferson P. Swycaffer; Calculating Hits in Starship Combat; More Vehicles and Starship Designs; more. 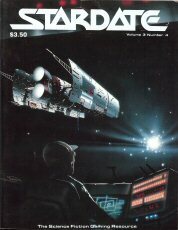 ARTICLES: FLE-15 Reconnaissance Scout Battlemech, Hottest Blood of All (Star Trek adventure, Psionics for Vulcans and Non Vulcans, Half The Battle by Harry Turtledove, more. 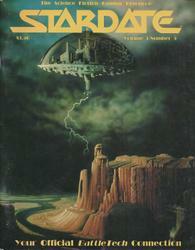 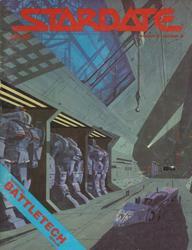 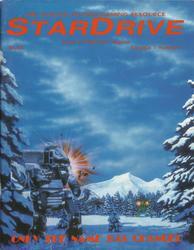 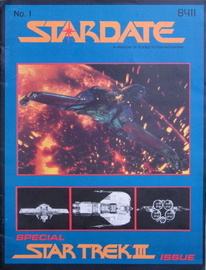 ARTICLES: BattleMech Tech (Longbow); Inventive Ordnance (Wombat Mk.I and Mk.II); Jaynz Ships (Vovossa Class Monitor & Eicha Class Freighter); River Crossing (BattleTech Adventure - John A. Theisen); River Crossing (Scenario - John A. Theisen); The Science of Going Splat (Richard Tucholka); Punch Out (Blaine L. Pardoe); The Recovery of MechWarriors; A Quick Death; Coolant Pack ("A MechWarrior's Best Friend" Blaine L. Pardoe); Falling Damage In Villains And Vigilantes. 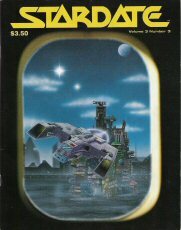 ARTICLES: 5 new AeroTech designs; Escape from Neu Yark, AeroTech scenario; New Bohemia Shipyards, a world for Traveller; Incident on Pluto, Traveller 2300 adventuring; Traveller fighter variants; Spotting from above, airborne eyes for BattleTech; Jaynz Ships of the Galaxy: Romulan V-24 Class Cruiser and P-8 Class Corvette; more. 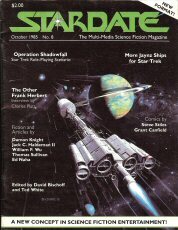 ARTICLES: Operation Kingmaker - An Intelligence Mission for ST:RPG; Modular Merchant Ships - Traveller merchants, take note; Stardate Interview: G. Harry Stine - The future of manned spaceflight in a STARDATE first; 3 Months Till Altair - Filling empty space travel time; Pass in Revue - Infantry from the Stone Age to the Present & Beyond; Infantry Against Battlemechs by Blaine Pardoe; Harry and Cyrano and Sarek - Updated characters for ST:RPG; A Whole Lotta Flak - BattleTech fiction by John A. Theisen; Pound for Pound - BattleMech combat efficiency analysis; The New Avalon Institute of Science Training Manual (Pt. 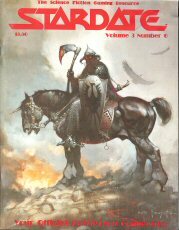 1) - BattleTech higher education by Blaine Pardoe; Protomatter - Shivak the Vulcan assesses the danger; Flesh and Steel - BattleTech fiction by C. W. Hess; Flesh and Steel - Infantry vs. 'Mechs: A scenario by C. W. Hess; more. 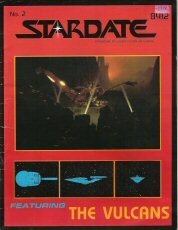 ARTICLES: Using the ST:TRPG Science Officer; Patron and Tickets (Traveller); Operation Starling (Star Trek adventure); UFP Personnel File (Star Trek stats for characters from ST:IV); Terminus (Battletech fiction); Adventure at Augerau (Traveller 2300); Battleflak - Odds of Grounds Fire (BattleMechs vs aircraft); Star Fleet Intelligence Corps Design (SFICD); more. 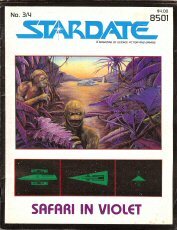 ARTICLES: Another Piece of the Action (Return to Ioita for ST:TRPG); New Avalon Institute of Science (Part 4 - Tactics for BattleMechs) by Blaine Pardoe; Solaris II by Richard Tucholka; Tactics of the Imperial Klingon Navy; Nautical Force Command (Wet navy characters for Traveller); Shore Leave for ST:RPG and other systems; Worlds of Deneb for ST:RPG; Mini-Mechs; Janynz Ships of the Galaxy - Sabella Class Tug and Finder Class Search and Rescue Corvette; more.